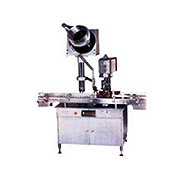 Europack machines India private limited is a reputed concern engaged in the manufacturing and exporting of food packaging materials, seed tray, pharmaceutical packaging, transparent packaging, clamshell, blister, frozen food packaging etc. We are leading manufacturer trader & exporter of packaging materials such as cake base, packaging boxes, biodegradable packaging materials, pharmaceutical packaging materials, eco-friendly packaging materials, food packaging materials etc. Involved in exporting and supplying of food packaging materials, pvc lamination material, polyurethane laminating adhesives, packaging lamination material, lamination sheets, full sheets, roofing materials, industrial laminating adhesives, self adhesive tapes, metalized films, half sheets, lamination boxes, coated fabrics. Retailers, exporters and suppliers of coated fabrics, roofing materials, food packaging materials, packaging lamination material, lamination sheets, full sheets, half sheets, lamination boxes, industrial laminating adhesives, self adhesive tapes, metalized films, pvc lamination material, polyurethane laminating adhesives. Dealer, suppliers and exporters of half sheets, lamination boxes, coated fabrics, roofing materials, packaging lamination material, lamination sheets, full sheets, food packaging materials, pvc lamination material, polyurethane laminating adhesives, industrial laminating adhesives, self adhesive tapes, metalized films. Deals in export and manufacture of packaging materials, thermocole sheets, thermocole rolls, food packaging materials, food pouches, industrial laminated sheets, kraft paper sheets, aluminium pharma foils, lidding foils, packing seals. Manufacturers, exporters and suppliers of polyurethane laminating adhesives, industrial laminating adhesives, packaging lamination material, lamination sheets, full sheets, half sheets, lamination boxes, coated fabrics, roofing materials, pvc lamination material, self adhesive tapes, metalized films, food packaging materials. 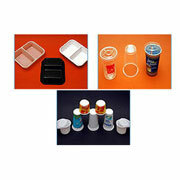 We provide In-flight product, food packaging, airline catering, disposable tableware, promotional gift etc. 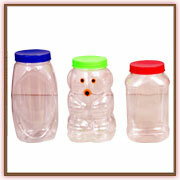 We are leading manufacturer trader & exporter of biodegradable packaging materials, pharmaceutical packaging materials, eco-friendly packaging materials, food packaging materials etc. Wholesale supplier and producer of packaging lamination material, lamination sheets, full sheets, half sheets, lamination boxes, coated fabrics, roofing materials, food packaging materials, pvc lamination material, polyurethane laminating adhesives, industrial laminating adhesives, self adhesive tapes, metalized films. Exporters, manufacturers and retailers of lamination boxes, coated fabrics, roofing materials, food packaging materials, pvc lamination material, polyurethane laminating adhesives, industrial laminating adhesives, self adhesive tapes, metalized films, packaging lamination material, lamination sheets, full sheets, half sheets. We are leading manufacturer trader & exporter of corrugated carton boxes, telescopic boxes, corrugated packaging materials, biodegradable packaging materials, pharmaceutical packaging materials, eco-friendly packaging materials, food packaging materials etc. Suppliers, exporters and retailers of self adhesive tapes, metalized films, packaging lamination material, lamination sheets, coated fabrics, roofing materials, food packaging materials, pvc lamination material, polyurethane laminating adhesives, industrial laminating adhesives, full sheets, half sheets, lamination boxes. We are leading manufacturer trader & exporter of packaging material, watches, biodegradable packaging materials, pharmaceutical packaging materials, eco-friendly packaging materials, food packaging materials etc. A leading producer of packaging materials, n b polyfilms is a diversified manufacturer of an array of advanced packaging materials that caters to the demanding needs of a host of industries. built on innovation and new ideas, the company has evolved over the years into a progressive and leading name in packaging materials. We are leading manufacturer trader & exporter of packaging material, corrugated boxes, biodegradable packaging materials, pharmaceutical packaging materials, eco-friendly packaging materials, food packaging materials etc. We are leading supplier of Flexible Packaging, Packaging Material, Strapping Machines, Shrink Packaging Machine, Shrink Films, Stretch Films, Packaging Machines, Plastic Strap, Air Bubble etc. We are leading manufacturer trader & exporter of vci non ferrous films, vci ferrous films, biodegradable vci ferrous film, biodegradable vci non ferrous film, antistatic films, biodegradable packaging materials, pharmaceutical packaging materials, eco-friendly packaging materials, food packaging materials etc. We are leading manufacturer trader & exporter of packaging materials such as packaging boxes, biodegradable packaging materials, pharmaceutical packaging materials, eco-friendly packaging materials, food packaging materials etc.